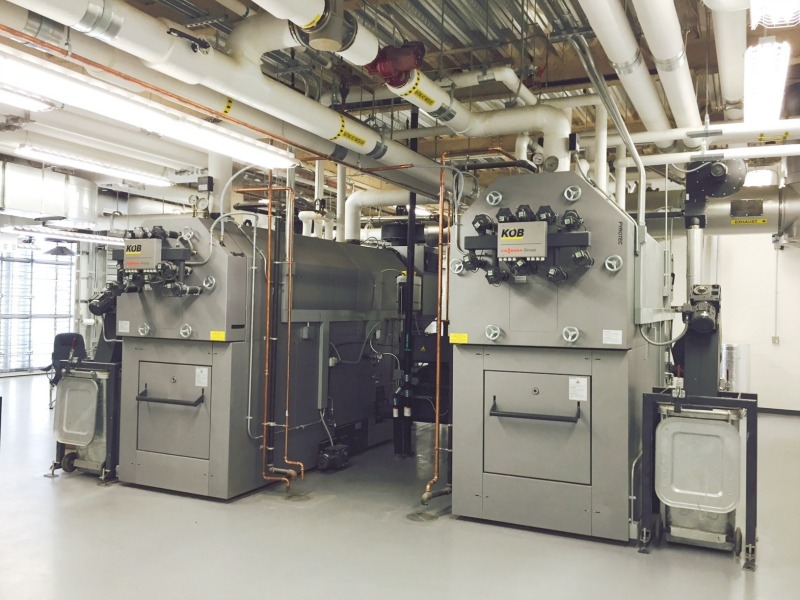 Two Viessmann Vitoflex 300 biomass boilers were installed by Froling Energy as the primary heat source for ALLWell. 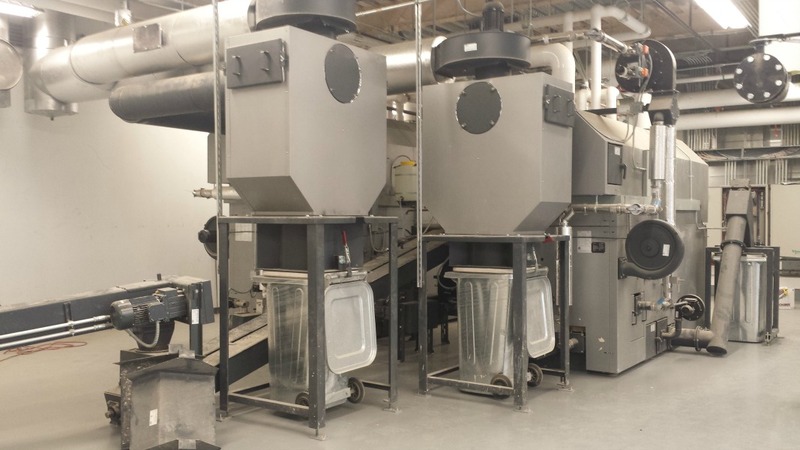 They have a combined gross output of 3.4 million BTUs per hour and use over 250 tons of wood pellets each year for space and hot water heating. This is the equivalent of nearly 30,000 gallons of fuel oil. A multi-cyclone is all that is required for the system to meet state emissions regulations. The Sasaki designed ALLWell Center at Plymouth State University in Plymouth, New Hampshire contains an indoor track and 5 large areas devoted to tennis, physical education and various athletic teams. The building seats 6000 spectators for athletic events. 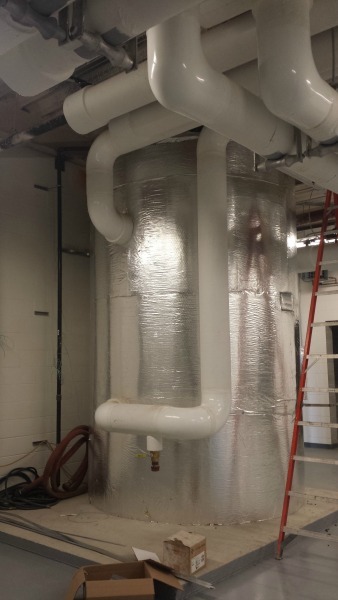 A 3000 gallon hot water buffer tank. 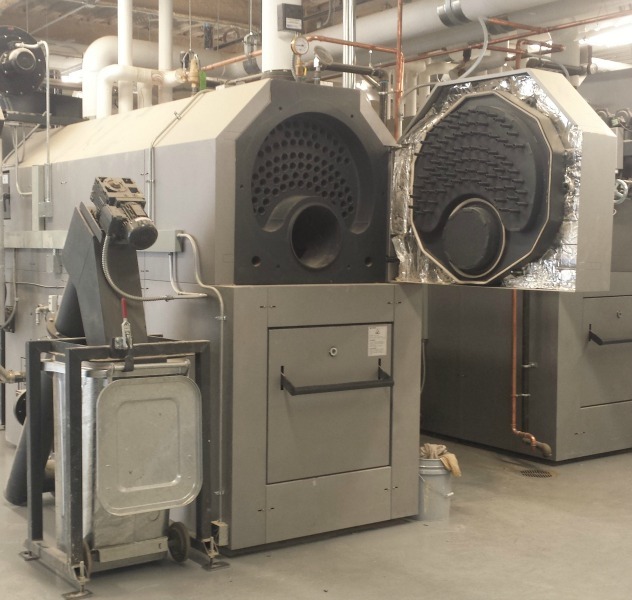 Two Viessmann Vitoflex 300-UF biomass boilers with outputs of 1.7 million BTU/hour each. 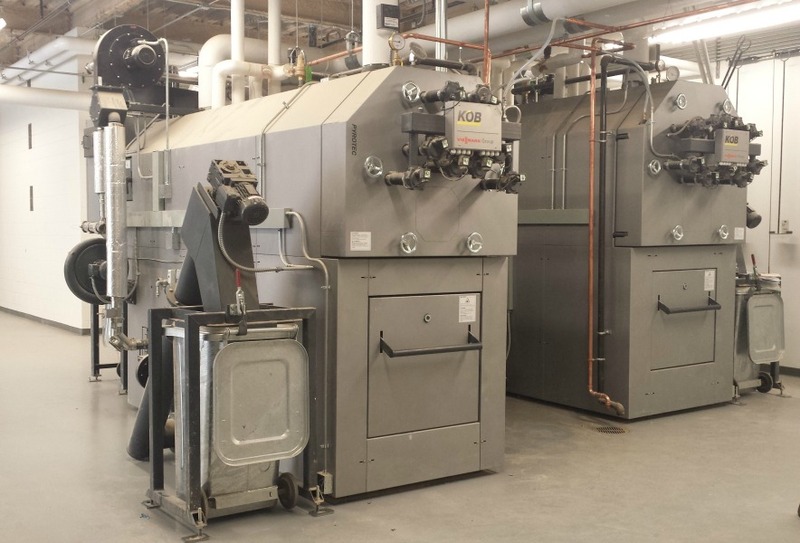 Two Viessmann Vitoflex 300-UF biomass boilers.